ISLAMABAD, Sep 27 (APP): Minister for Defence Khawaja Muhammad Asif on Tuesday said that speech of Prime Minister Muhammad Nawaz Sharif in United Nations General Assembly (UNGA) was also hailed by his political opponents. including Kashmiris struggle for their basic right to self determination and Indian barbarism on them, he said talking to a private news channel. The minister said the Prime Minister committed to reslove Kashmir issue more then other leaders of the political parties of the country. He said Indian troops carried out 90 days curfew in the Occupied valley and killed almost 100 innocent Kashmiris. He said that Pakistan valiant armed forces were capable enough to face any threat from India. The minister said the armed forces had conducted a war exercise to prepare themselves to counter any untoward situation. He said if India tried to do any misadventure, it would have to face dire consequences adding that Pakistan had strong technical devices and tactical weapons that would be used for the defence of the motherland. Moreover, the whole nation from Karachi to Gilgit was united against India, the minister said. 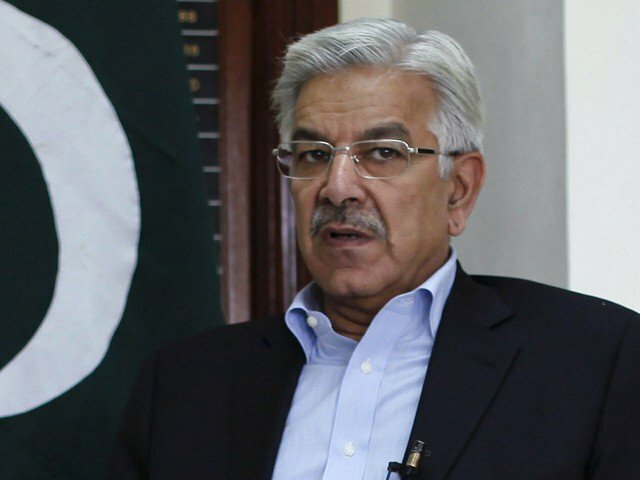 Khawaja Asif said that India could not dismiss Indus Water Treaty with Pakistan. To a question, he said Russia was courageous to improve ties with Pakistan. Commenting on China Pakistan Economic Corridor (CPEC), he termed it a national project and would bring economic revolution in the country and region. To another question, he said Pakistan Tehreek-e-Insaf (PTI)’s Raiwind march was not in the national interest as the country was facing threats from India. He said PTI chief Imran Khan was holding protest demonstration to achieve his own goals which served nothing to the country in prevailing situation. PTI sit-in at D-Chowk had delayed the national project CPEC, he pointed out.